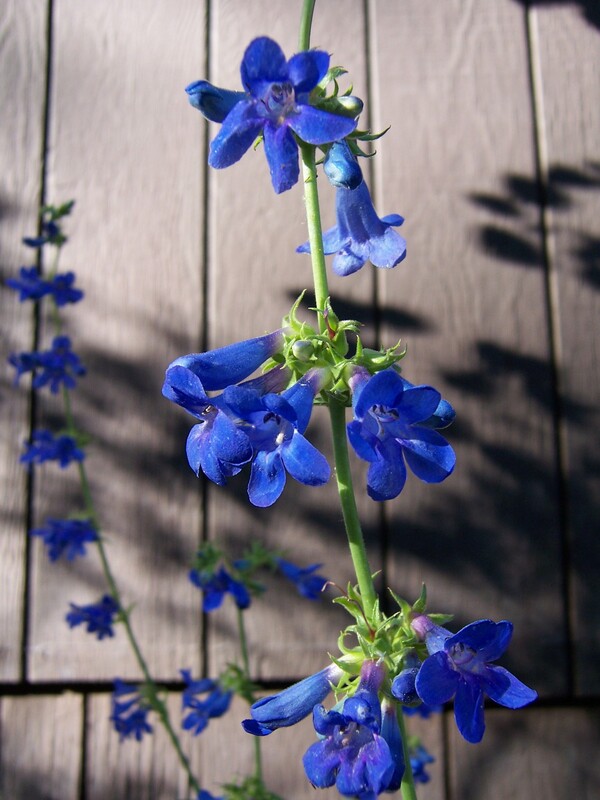 Some of the bluest flowers I’ve ever seen belong to Penstemon mensarum. 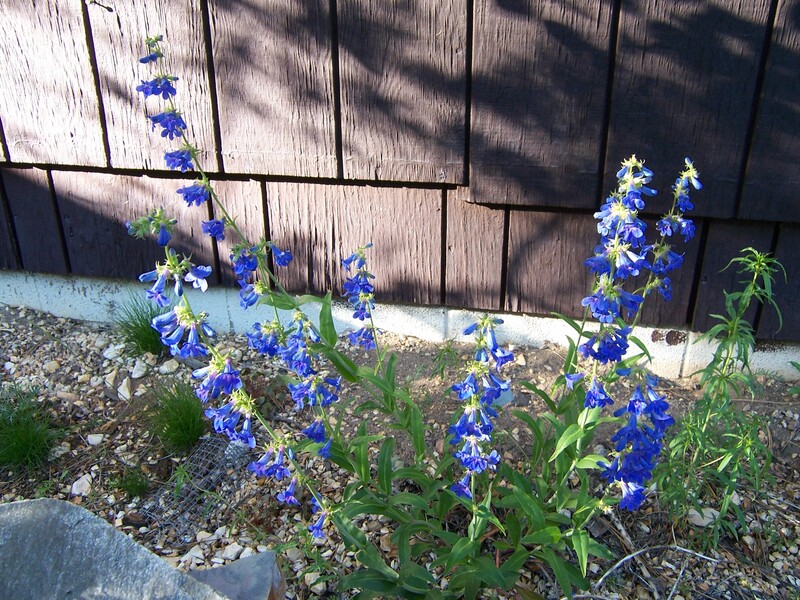 This penstemon is native to western Colorado, specifically Mesa, Delta, and Gunnison Counties, and is easy to grow in the Tahoe garden. This penstemon is a bit unusual in that it can tolerate fairly regular watering. In my garden, it gets a good soaking every one to two weeks. It will survive on much less, but look wilted and unhappy in hot weather. I grow this species in a sunny area next to some Aspen trees. I also have a plant growing against a southwest facing wall of the house. Penstemon mensarum gets up to 2 feet tall and 18 inches wide, and is tolerant of hot sun, extreme cold, wind and violent hailstorms. It should get at least three to four hours of direct sunlight a day, otherwise the flower spikes get elongated and droopy. There are lots of gophers and voles in my yard. This penstemon does not seem to be one of their favorite snacks, which is nice! Over the years they have eaten only one plant. Penstemon mensarum combines beautifully with bright-red Firecracker Flower (Ipomopsis aggregata). They both like similar conditions and bloom at the same time. This plant is pollinated by bees and hummingbirds. For anyone interested in growing penstemons in the garden, I’d highly recommend the book, Penstemons, by Robert Nold, an author from Lakewood, Colorado. Northwest Penstemons by Dee Strickler is also a wonderful book, and is loaded with color photographs. Most Penstemons I start from seed require several weeks of cold stratification in order to germinate, so I plant them in the fall before we get a lot of snow. This is what happens in the wild. It works best. Whether in the ground or in pots, I plant the seeds, it snows, and I can let nature do the work. The soil stays moist and the seeds get the cold period they need. 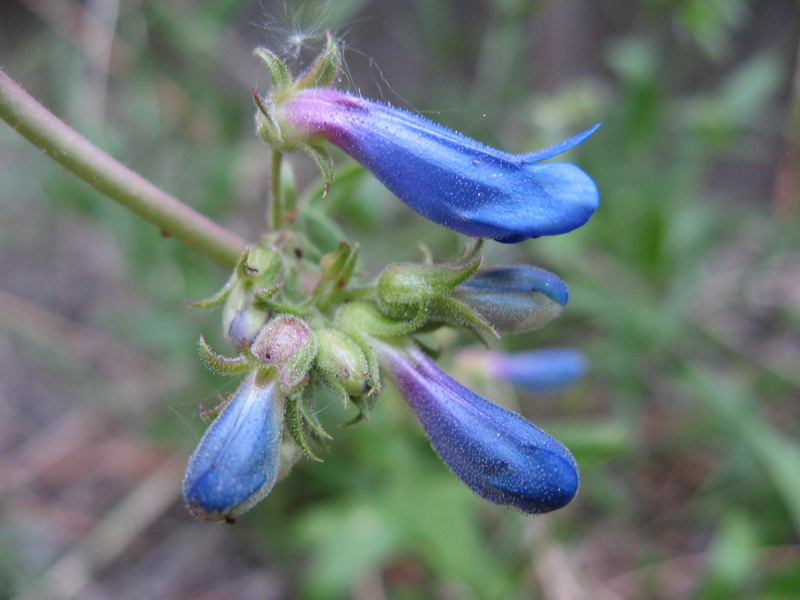 March or April would be too late to plant penstemon seeds in the Sierra Nevada. The ground is often not accessible that time of year because of all the snow we get. In April, we can get very snowy weather followed by temperatures warm enough to dry the soil out significantly. I have had the best results planting containers in the ground from June through October. In the spring or late fall, smaller plants can heave out of the ground from the frosts we get. I live across the street from a meadow, in a cold micro climate. We typically get below freezing nighttime temperatures until mid-June. Mulching heavily can help prevent frost heave, but dry-growing penstemons tend not to like lots of material around their stems.